DESCRIPTION: Up to 7mm in length. 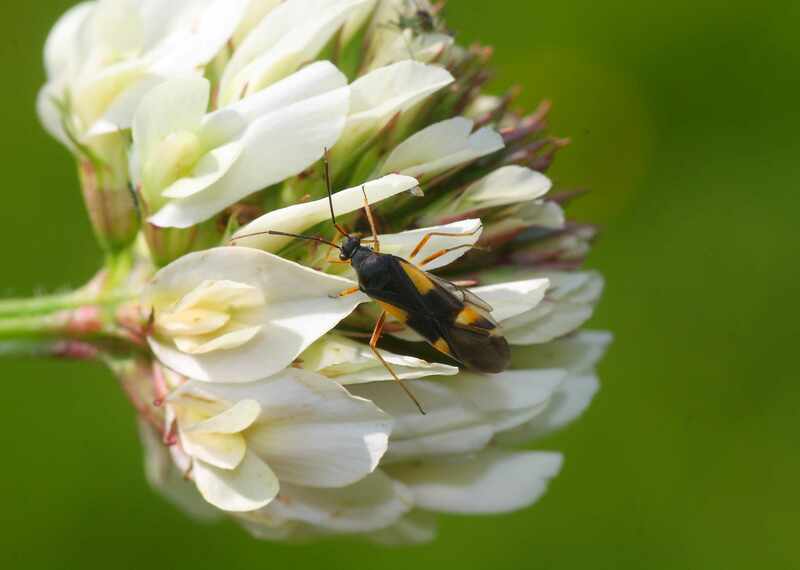 A macropterous species best identified by its red eyes, the long erect hairs on the pronotum and the forewings and the yellow-orange patches on the front and rear of the corium. The postereior of the pronotum is always raised. BEHAVIOUR: This insect feeds on the leaves and catkins of the host plant as well as other insects and their eggs. The active flying adults can be found on a varietry of other shrubs. HABITAT: Found on Oak trees throughout the country. PERIOD: May to July.